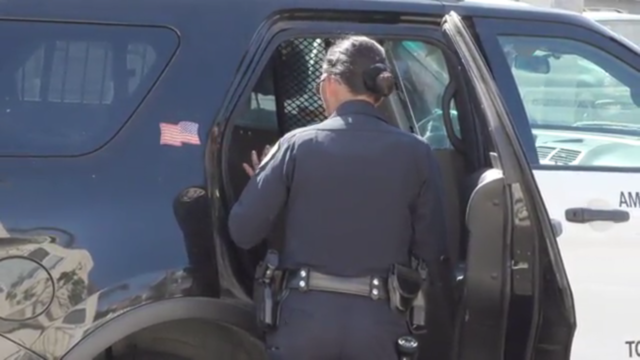 An argument turned into a violent confrontation in Linda Vista Sunday morning, and the suspect took off in a stolen car, police said. Officers were finally able to stop the car in Point Loma more than an hour after the initial fight began. Police were called to the 2800 block of Jarvis Street at 9:09 a.m. for a report of a stabbing, San Diego Police Officer Sarah Foster said. A man had been stabbed in the arm — though the injury did not appear to be serious — and the suspect fled in a car belonging to a woman who was also involved in the altercation, Foster said. The woman who owned the stolen car was able to utilize and electronic tracking device to lead police to the car in Mission Valley. The suspect wouldn’t yield to police, and fled west on Interstate 8 into the Point Loma area, where police got the man to stop, Foster said. Multiple people were in the stolen car, she said. It was unclear what their relationship is to the victims. The driver was arrested and police were investigating.